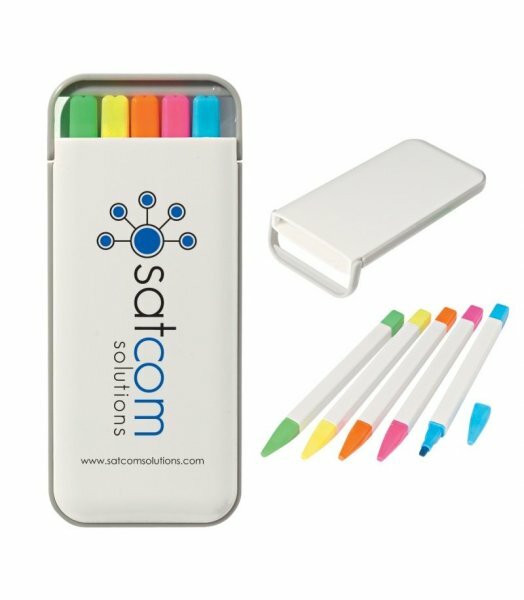 Perfect for highlighting your point or memorable statements in a memo and is a student’s study buddy, this 5 Highlighter Case is a great promotional product for both those in universities and at the office. The case is available in white with gray trim, which houses the five higlighters that comes in green, pink, ytello, blue and orange. Coloured cutsomisation is made by 4CP digital printing or pad printing.